Our social media video for a striking new awareness campaign has notched up millions of views on Facebook by tapping into grassroots community power. Here is the story behind the campaign. Since the internet surged into popular use in the mid-90s, a debate has raged about its effect on traditional jobs. One of the loudest chunks of that debate has circled around “citizen journalism”: an umbrella term for anything from opinion-based political blogs to anonymous exposés of secretive professions (such as NightJack). It also includes phone footage sent to big-brand media groups by people who’ve been at newsworthy events. The independence that drives citizen journalism offers compelling advantages: agility, and the art of surprise. Some citizen journalists may form particular views, or land huge scoops, that set the tone for more established outlets. Information flows in the opposite direction to the standard way: not from the top down, but from the grassroots up. So if you’re going to market a free, natural product that no major corporation would ever consider promoting in its unprocessed form – despite its benefits – the same principles must apply. Welcome to “citizen marketing”. Here’s how Burst and Tiny Human used it to create a grassroots campaign for promoting human milk – and broke the internet in the process. As our previous blog explained, Claire Tchaikowski had enjoyed a career as a recording artist, specialising in haunting vocal arrangements that led to the production of an acclaimed album. She also lent her voice to projects with a more directly commercial thrust, such as the soundtrack to hit video game Halo 4. But despite copious experience of working alongside entertainment and media professionals in the urban sprawl of London, Claire was not a professional marketer. When her Human Milk: Tailor-made for Tiny Humans campaign began, it was just a Facebook page with a passionate and dedicated following, picked up from Claire’s visits to some of the social network’s busiest breastfeeding support groups. With so many factual inaccuracies clouding breastfeeding matters both online and off, Claire was determined to science the heck out of the issue for as wide an audience as possible – and in a way that would be embraced by the hundreds of like-minded women that she had made contact with on Facebook and in person. The one-and-a-half-minute human milk promo that Burst helped her create can be taken almost as a ‘counter-advert’: while the campaign’s aim was definitely not to convey a shrill, anti-corporate message – which some may have found over-the-top or off-putting – it’s nonetheless an antidote to commercials for, say, formula milk. Rather than trying to market a large company’s latest powdered product in a top-down fashion, the ad is a grassroots-up effort to raise awareness about the benefits of a substance that is entirely abundant and free, but too often unfairly maligned or misunderstood. As such, it embodies all the qualities and values of citizen marketing. Those same qualities and values also came into play in the way that the ad was made and launched. 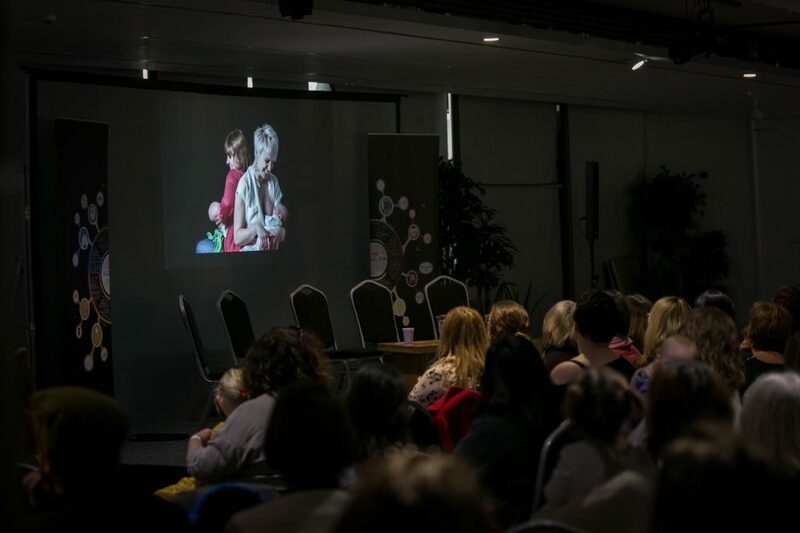 Both experiences relied upon engagement from the same community that Claire had gathered on Facebook – firstly to cast the film with the aid of some eager volunteers, then to drive enthusiasm for it within the breastfeeding world. Scientific contacts that Claire had reached out to in the run-up to making the film agreed to speak at a launch event on Saturday 21 January at famous science centre At-Bristol – an upgrade from a previous venue that had sold out in a flash – and the audience was comprised of people that had found out about the campaign online. The day was structured as a countdown to the launch of an official campaign website that hosted the film, plus the film going live on the initial Facebook page. 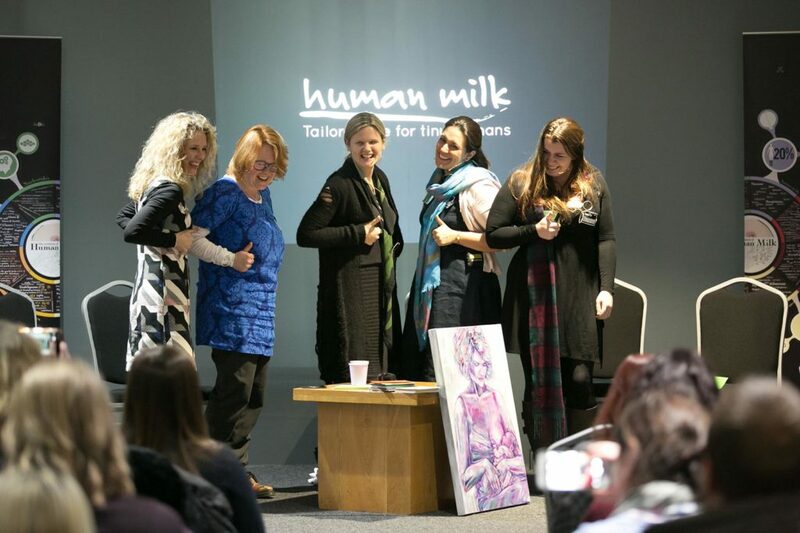 Claire urged people in the audience to share the website link and Facebook video on their social media feeds, and the final countdown to the launch commenced once the expert speakers had filled everyone in about human milk’s complex chemistry. When the ad was finally screened in the room, the reaction was joyful. People were impressed by the ad’s subtlety, and how it sprinkled 100%-accurate research over the understated visuals in the form of delicate graphics, which sold the factoids as pieces of scientific magic. A low-key musical score and Claire’s calm, soothing voiceover completed the package. From that point on, the sharing took on a life of its own. By the evening of Sunday 22 January, the Facebook version of the ad had notched up around 850,000 views – and the following morning, it sailed past the 1 million mark. Considering the context, that was no mean feat: the weekend’s online traffic was dominated by coverage of the worldwide Women’s March protests, planned as a riposte to the 20 January inauguration of Donald Trump as US President. This posed a huge challenge to any newly minted campaign that was looking for cut-through. But online viewers were as enchanted with the ad as those who had attended the launch. More than that, the ad had really struck a chord and opened up an area of common ground to which the breastfeeding community rallied. In the space of just two weeks, the Facebook version of the ad had garnered more than 2.5 million views. Further views of the film on Claire’s campaign website have gone into the tens of thousands. Let’s just put that in perspective for a second: this official YouTube trailer for Oscar-winning actor Matthew McConaughey’s new film Gold has pulled in just over 1.3 million views – and has been online since early September. That really underlines the effectiveness of the ad’s message, and how it has triggered a flood of awareness about human milk by turning the typical rules of marketing upside down.